He is an IT ERP implementation consultant specializing in the large construction sector worldwide. He started lifting weights at 18 while attending Dalhousie University in Halifax, Nova Scotia — his former hometown. 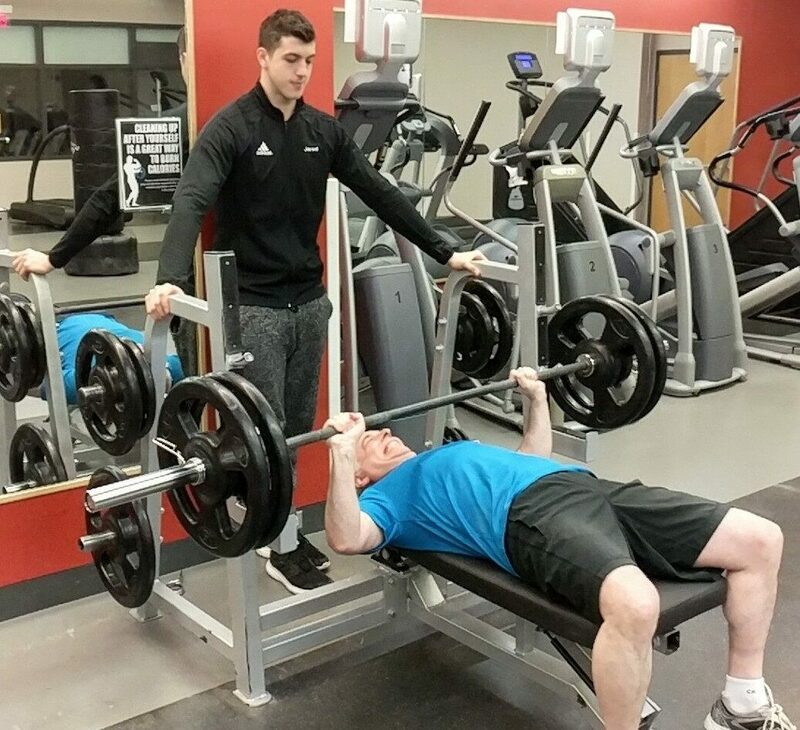 He is a Jewish Community Centres expert having visited out over 60 JCCs throughout the US and Canada, many in which he has worked out multiple times! These three facts, however, unite to tell a beautiful story of the power of Jewish connection. For over 15 years, Seymour travelled frequently to major US and Canadian centres for work. While hotels generally offer a fitness facility, there is usually a lack of weightlifting equipment for bench pressing, squatting and deadlifting. “I am an original member of the Prosserman JCC and was a long-time member of the former Bathurst JCC. While travelling, I discovered that most JCCs will provide a free reciprocal pass to members of other JCCs. As a result, for fifteen years I never had to break my exercise routine,” said Seymour, now 58. While his main focus was working out, the inherent social factor built into JCC life was also worth the effort (and, at times, up to 40-minutes in travel), noting the larger benefits of great camaraderie and lifelong friendships. Seymour explained that when one Jew meets another, the conversation starts with a shared interest whether Jewish holidays, upcoming events or news involving Israel. On the road, he makes friends easily, casually asking about the local community. He shows he is interested, maybe even in attending a lecture or event taking place at that same JCC or local area. Six months ago, Seymour reached one of his lifelong fitness goals of lifting 225 pounds, the standard for advanced heavy weighting.